Cleves, May 2018 – The Eagle Scout Service Project is an opportunity for a scout to demonstrate leadership of others while performing a project for the benefit of his community. 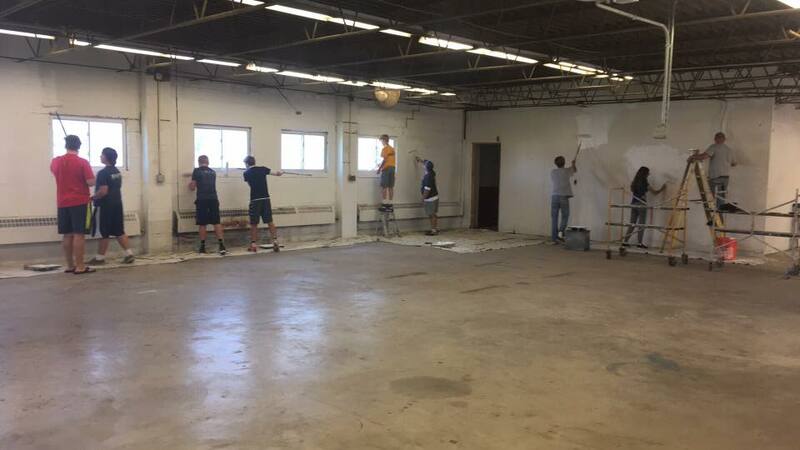 In April, Taylor High School Senior, Robby Martini, began work on his project; taking an old building and revamping it to provide space for the wrestling team. The building, currently sitting at 691 N Miami Ave. in Cleves, Ohio was purchased by the District with hopes that it could be utilized as a sports facility for practices. The only problem the District faced was finding the people and the time to get it up to the necessary conditions. That is when Robby Martini stepped in. Devoted to his project, Robby spent months recruiting fellow wrestlers, scouts, friends, and family to lend a helping hand. Robby thanked everybody for their help at his Eagle court of honor and had his court of honor On April 22, 2018. To read more about his project and service, follow him on Facebook at Robby's eagle scout project.